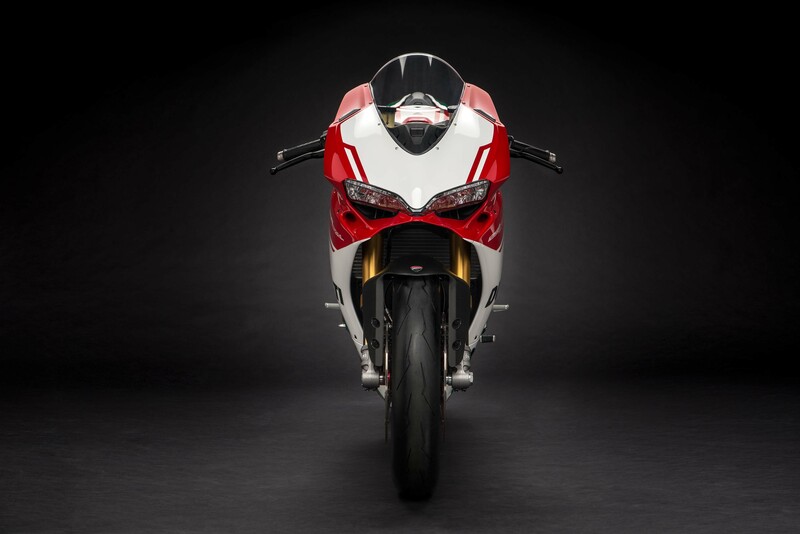 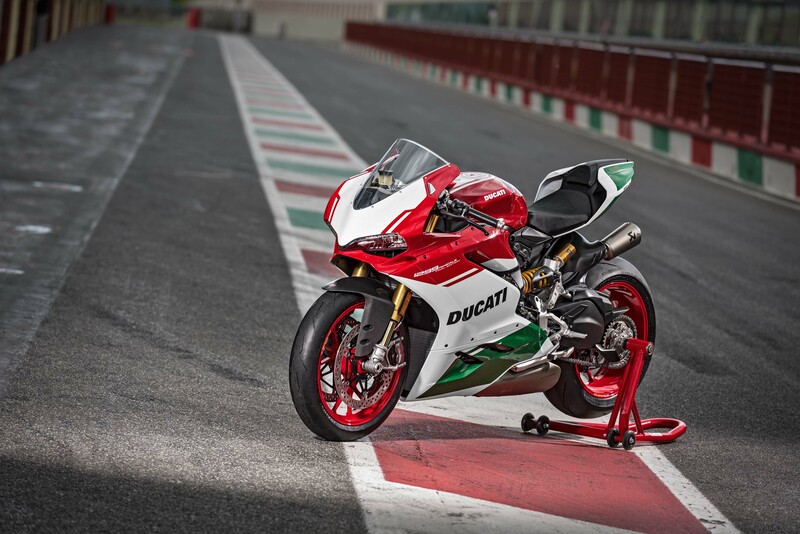 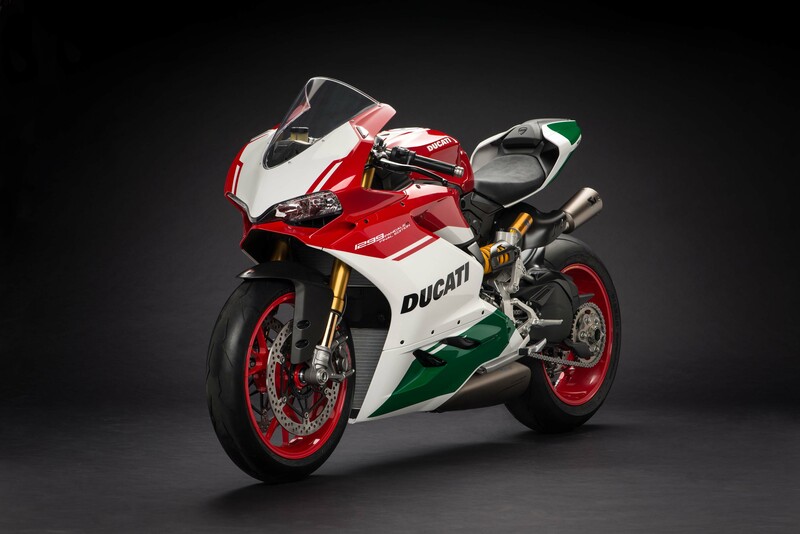 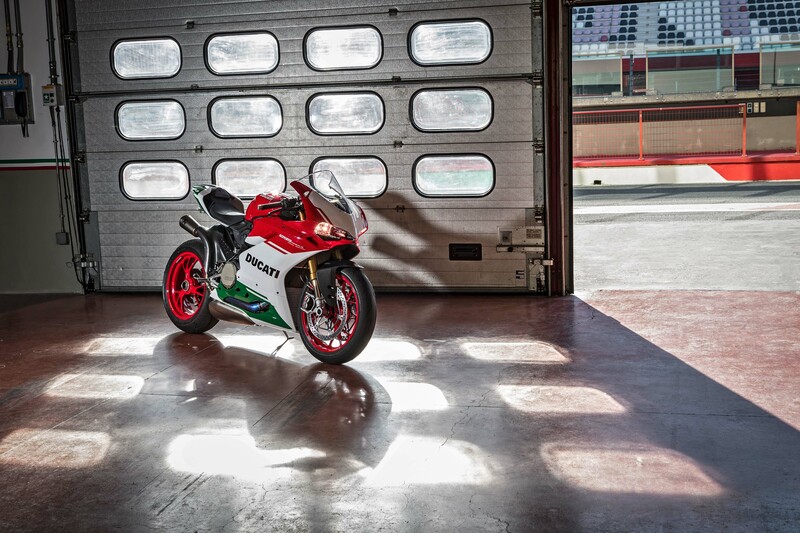 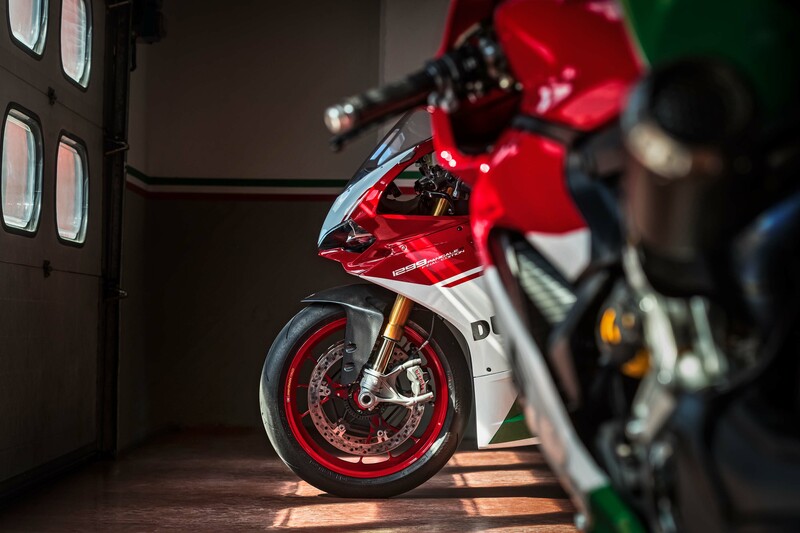 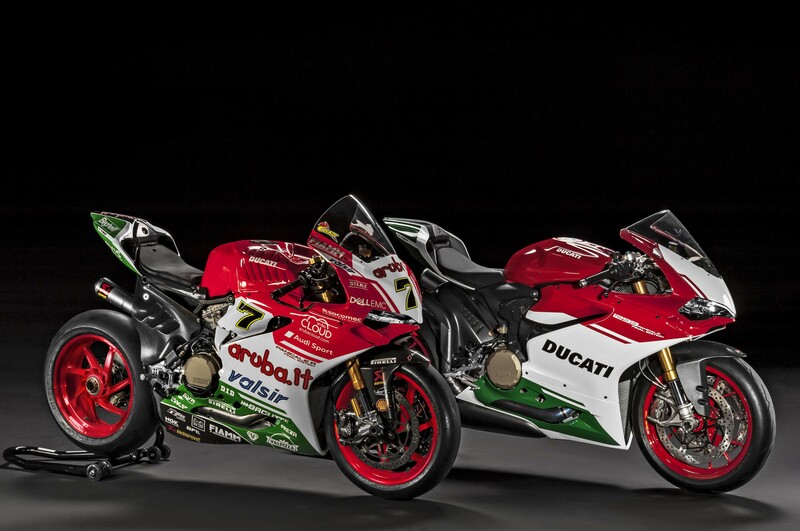 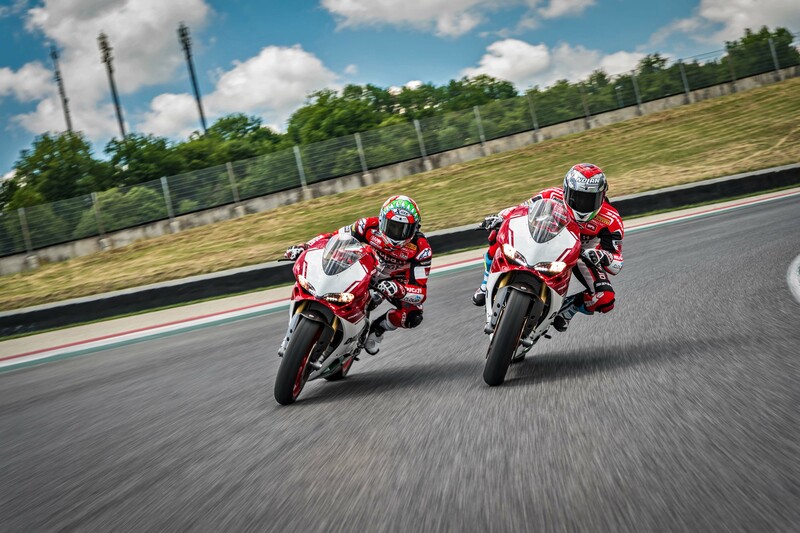 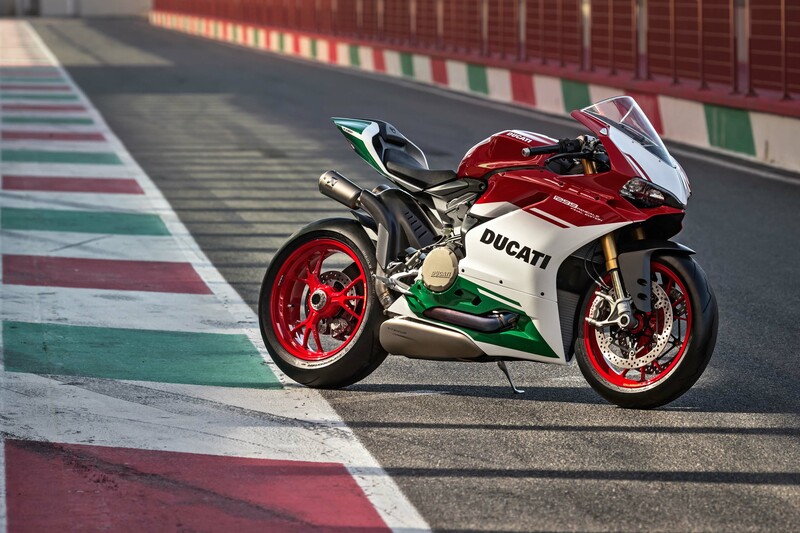 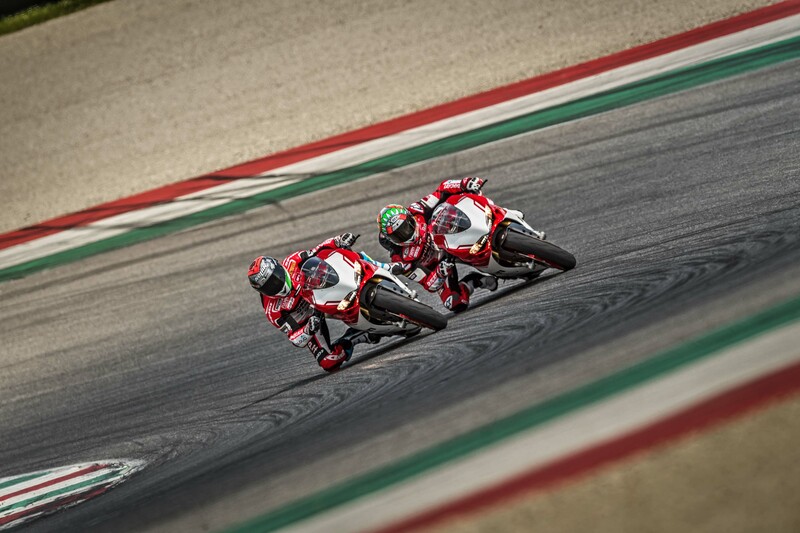 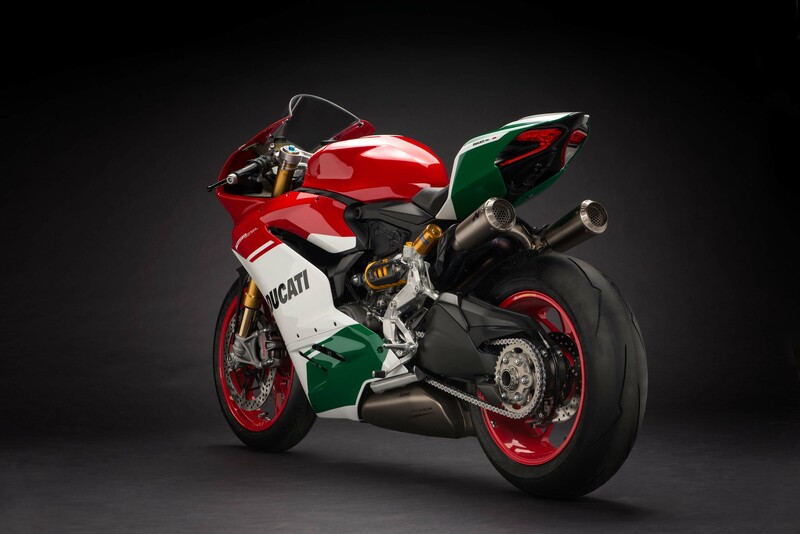 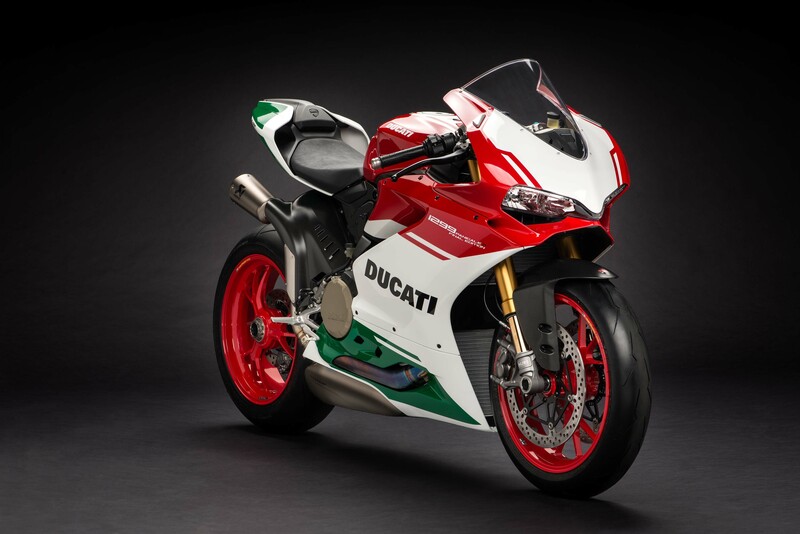 Ducati has finally released its Final Edition of the Ducati 1299 Panigale superbike, and the aptly named Ducati 1299 Panigale R Final Edition packs a punch. 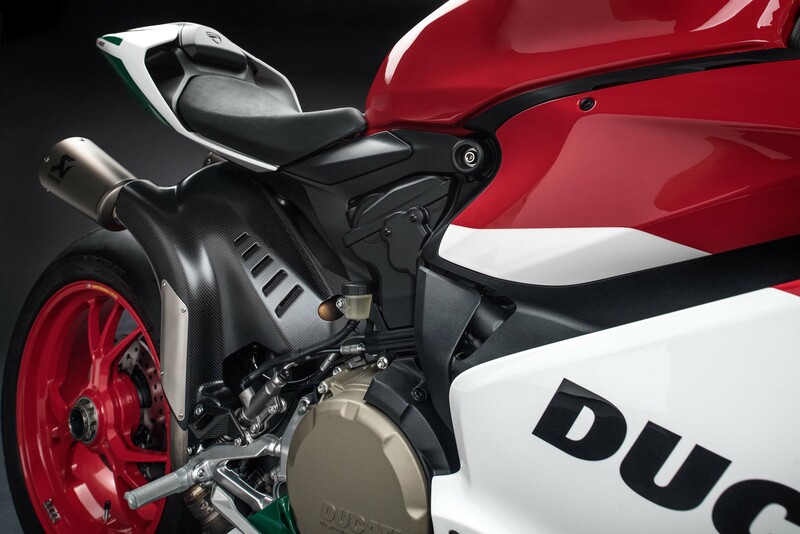 Sharing engine parts with the Ducati 1299 Superleggera (sans its aluminum sleeved engine cylinders and sand-cast casings), the Ducati 1299 Panigale R Final Edition makes 209hp on Ducati’s chassis dynamometer, which should be a comparable figure to the Superleggera, as the latter has power figures quoted from an engine dyno. 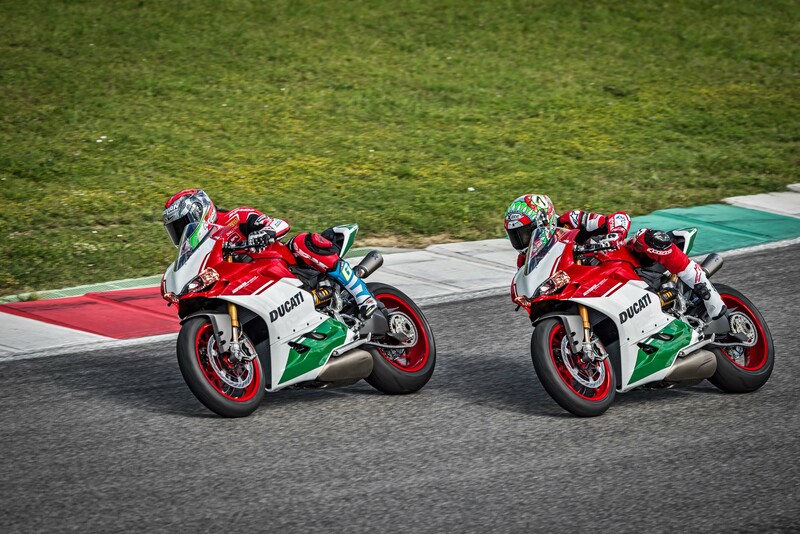 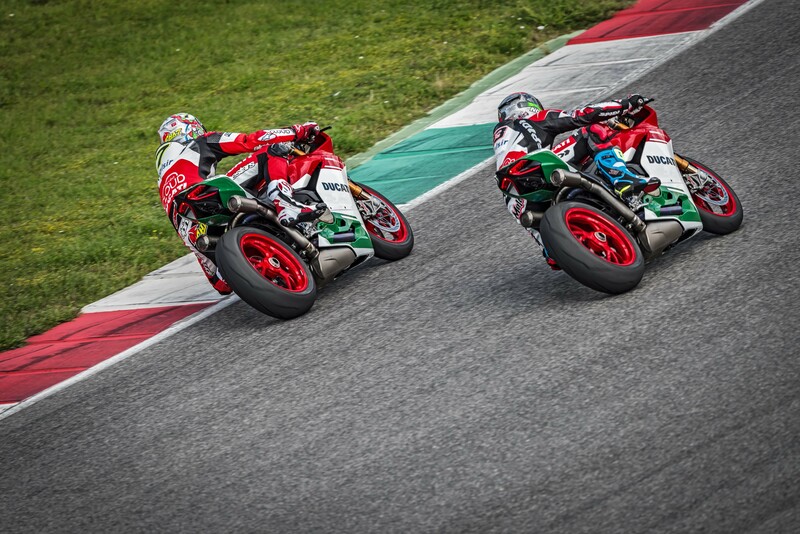 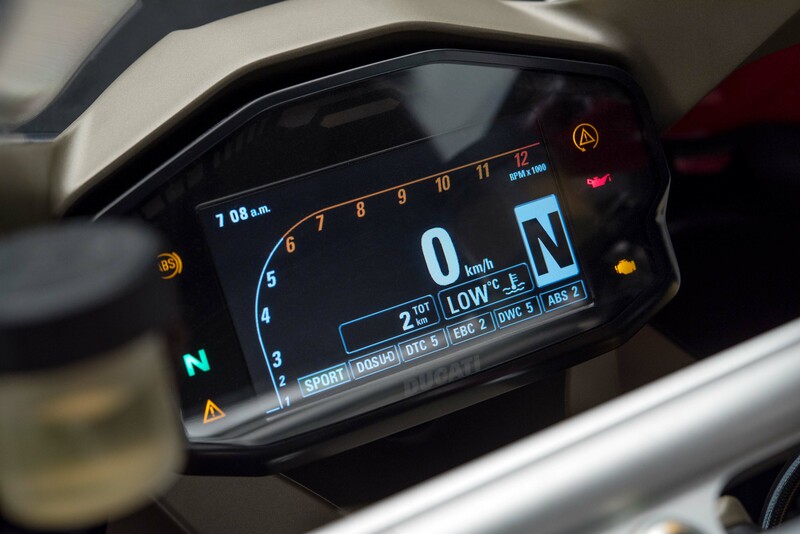 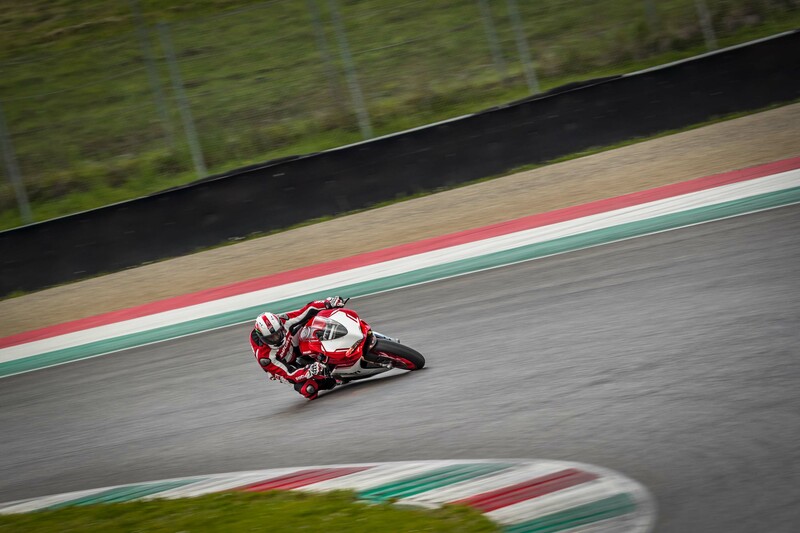 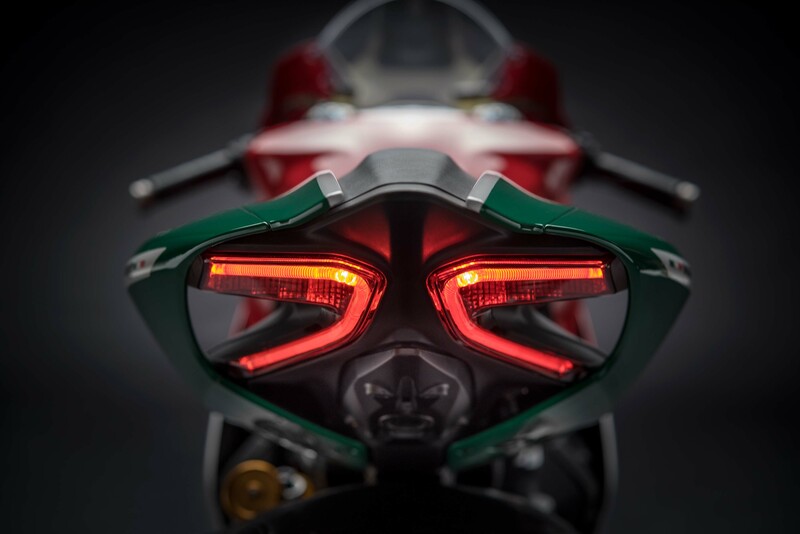 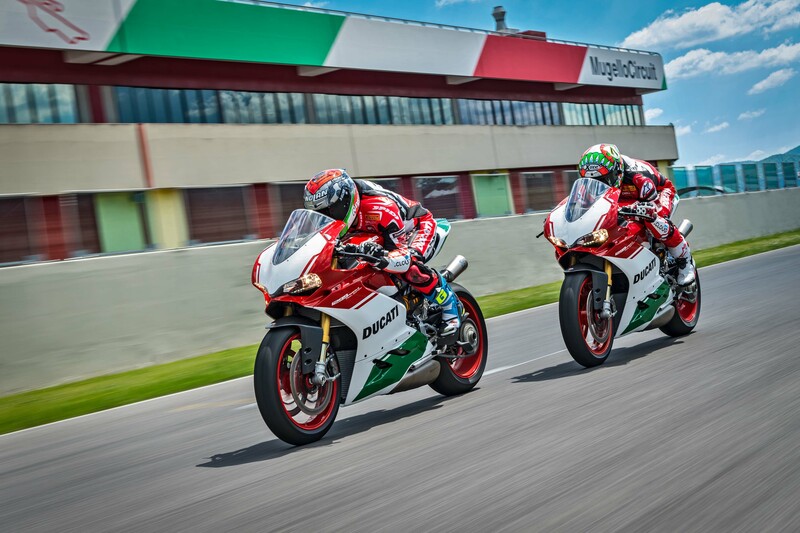 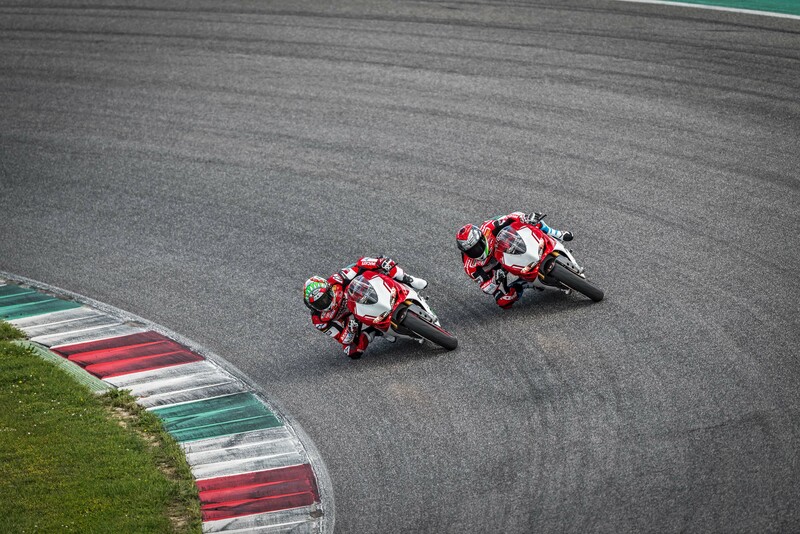 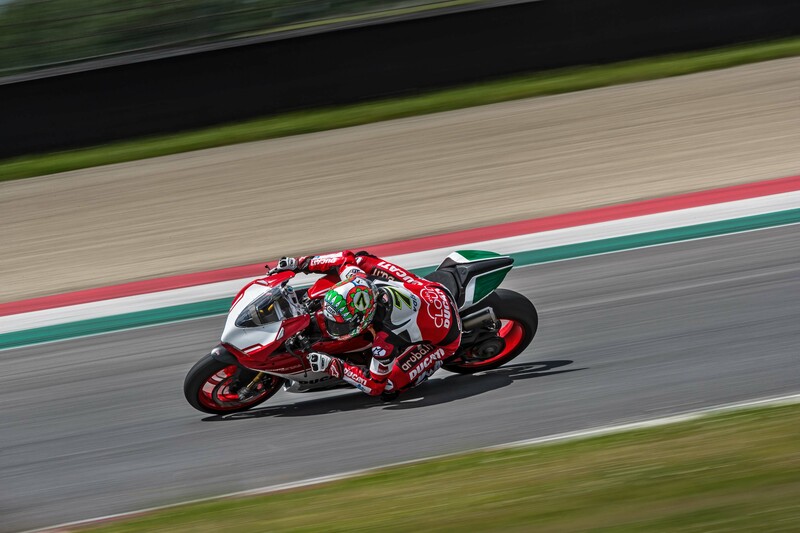 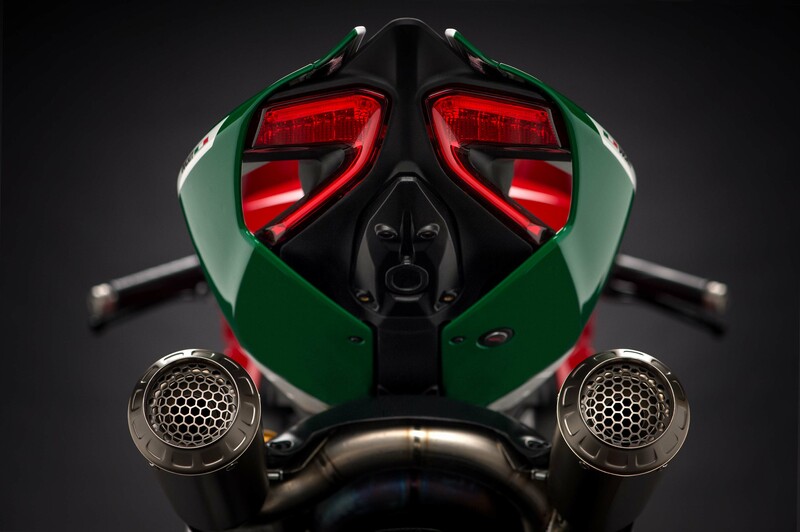 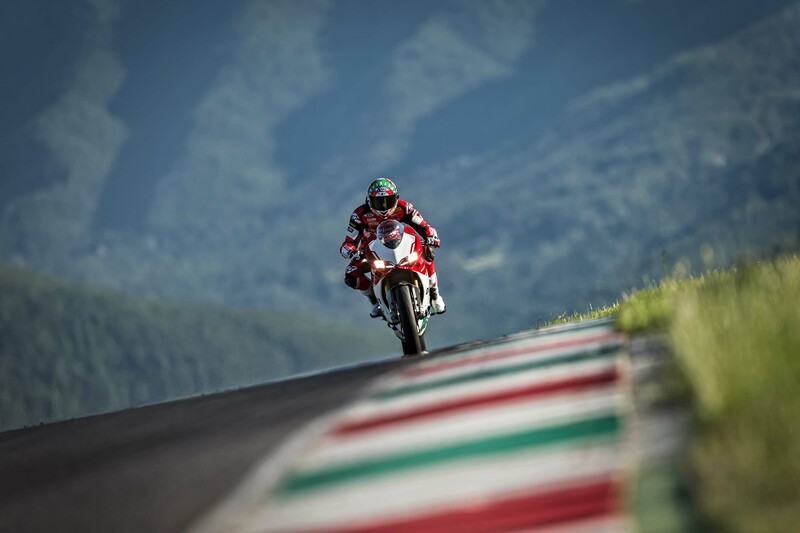 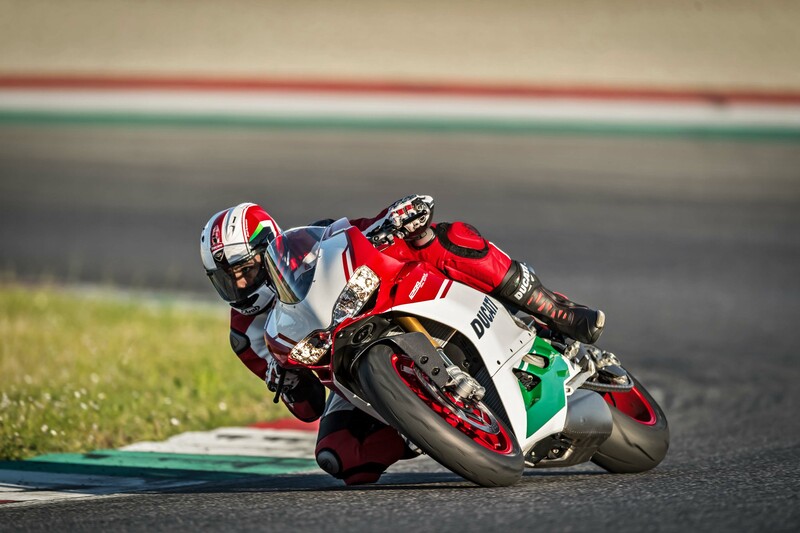 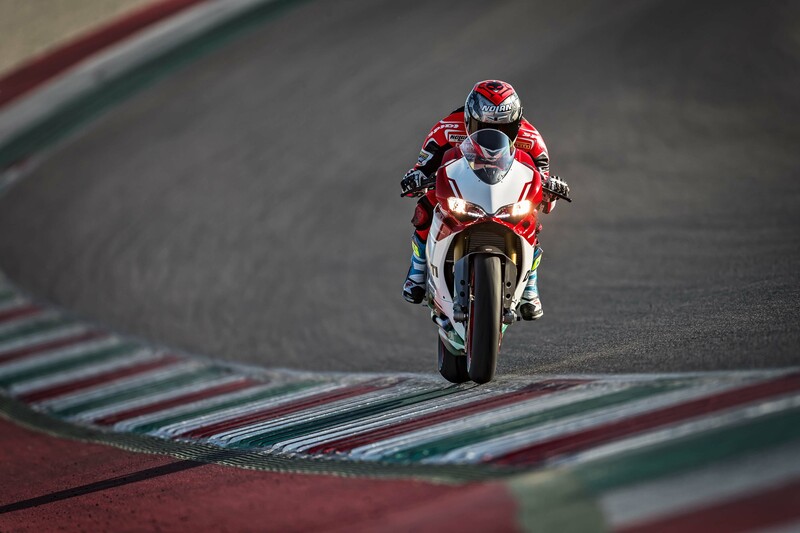 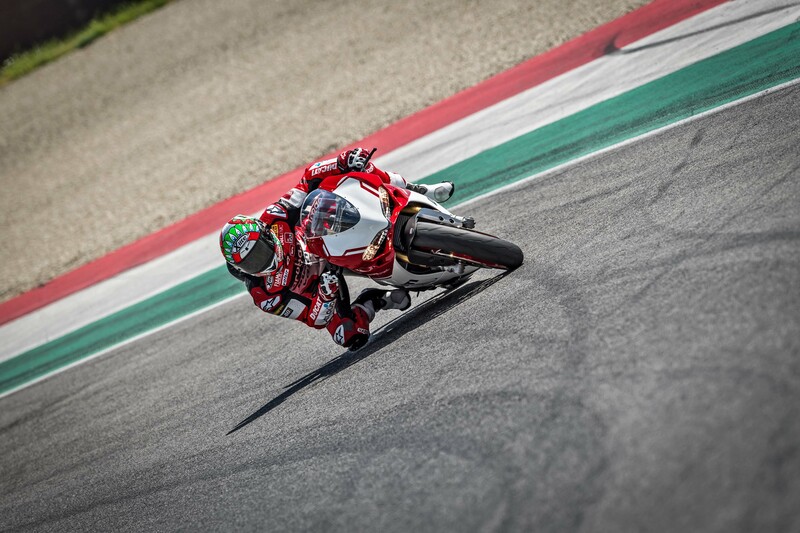 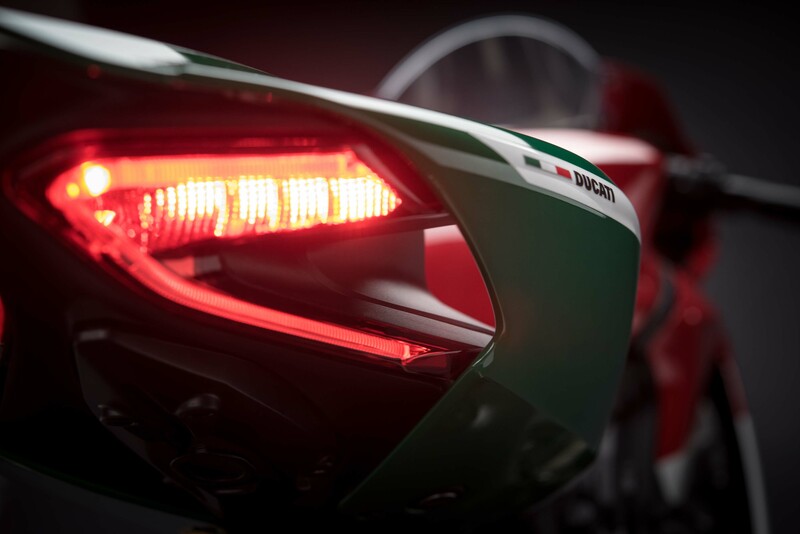 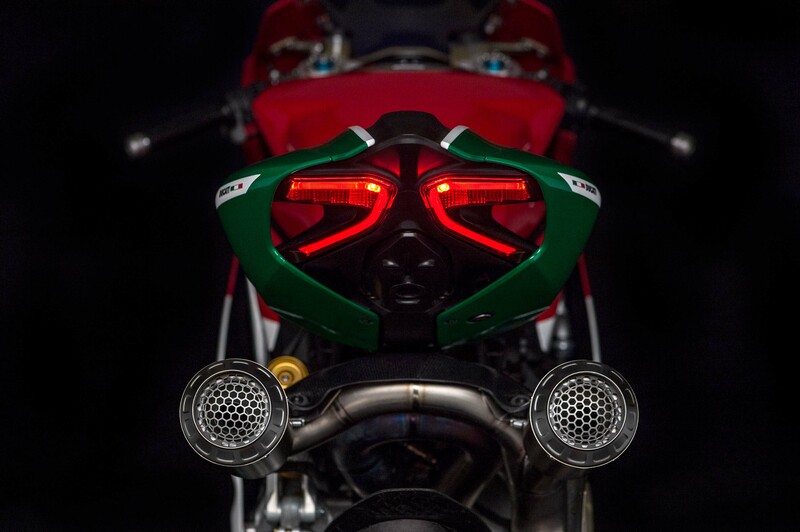 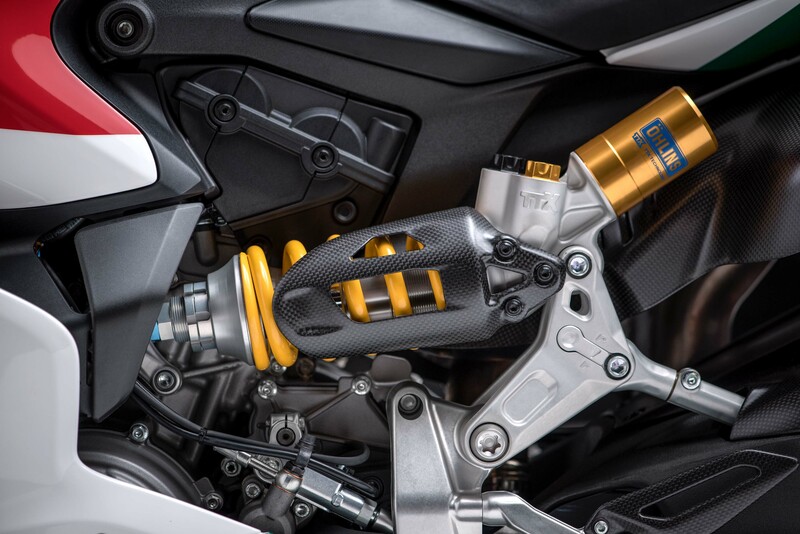 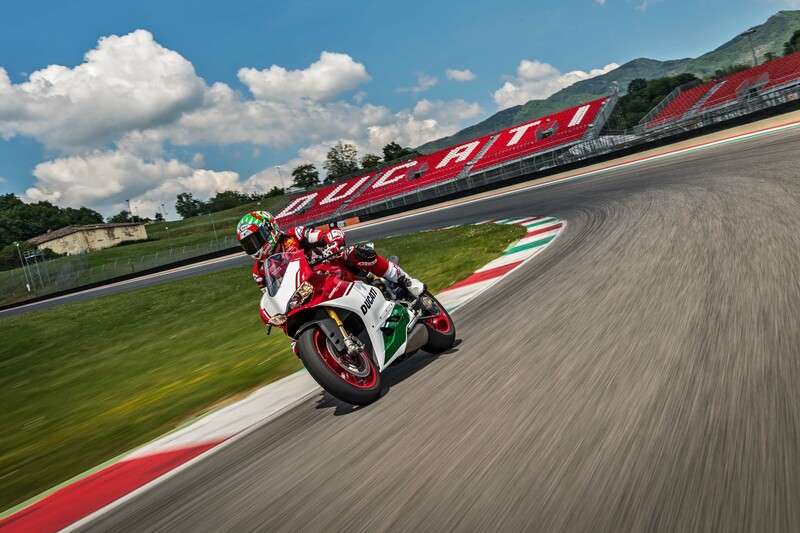 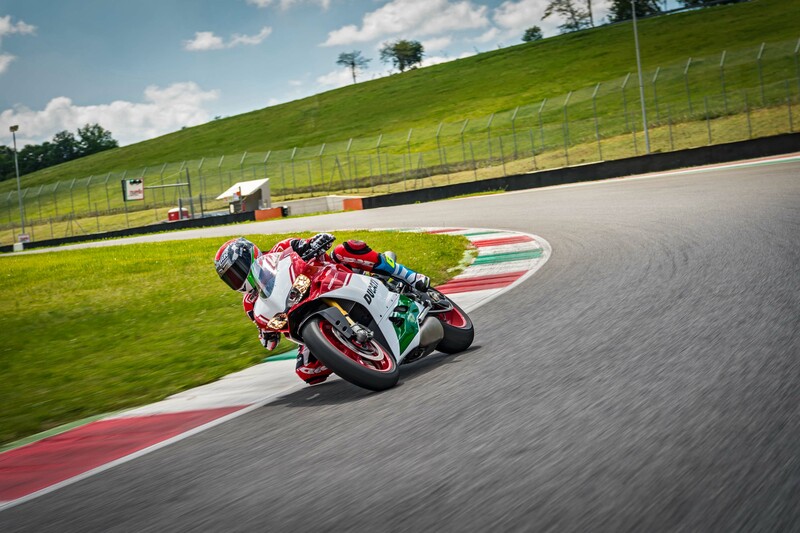 Though they may produce similar power figures, the Final Edition Panigale does not quite take the Superleggera’s obsessiveness with weight to the same level, using more traditional fasteners and materials for its design. 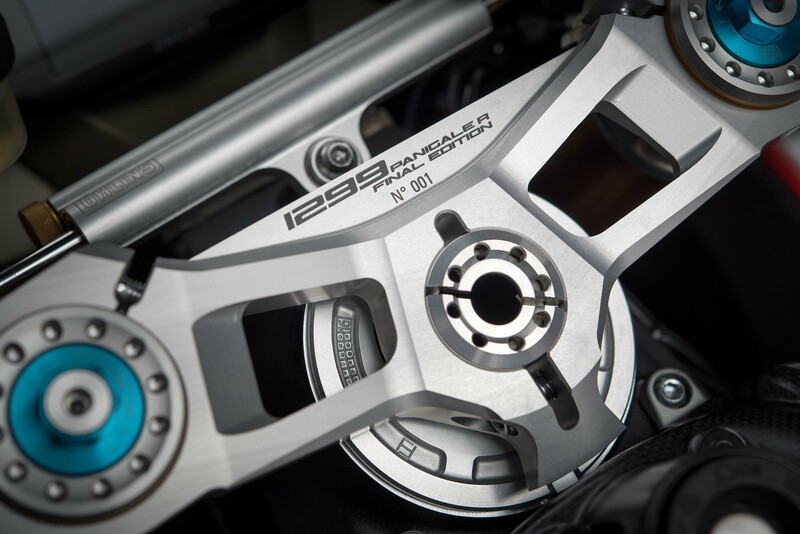 That is to say, it is without all the carbon fiber goodness found on the SL, including its chassis. 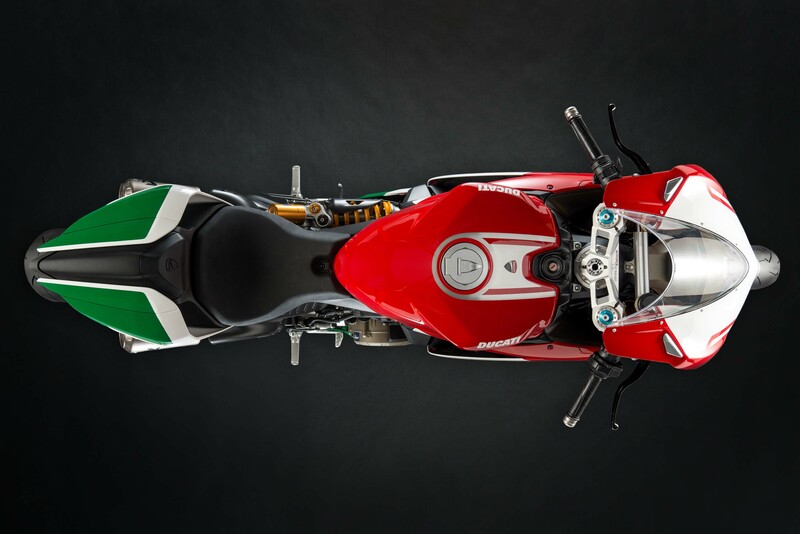 As such, the FE tips the scales at 419 lbs wet at the curb. 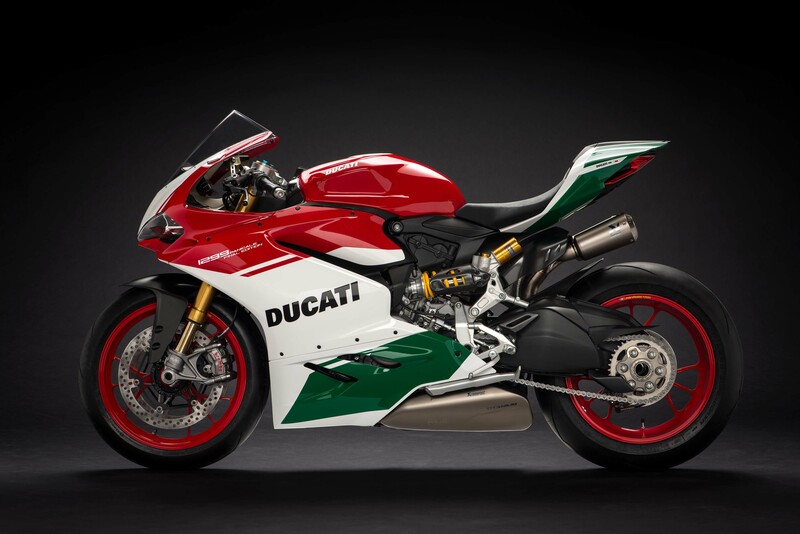 For those keeping score, that mass is just a pound lighter than the Ducati 1299 Panigale S; and 13 lbs heavier than the Ducati Panigale R, which uses the 1199 motor. 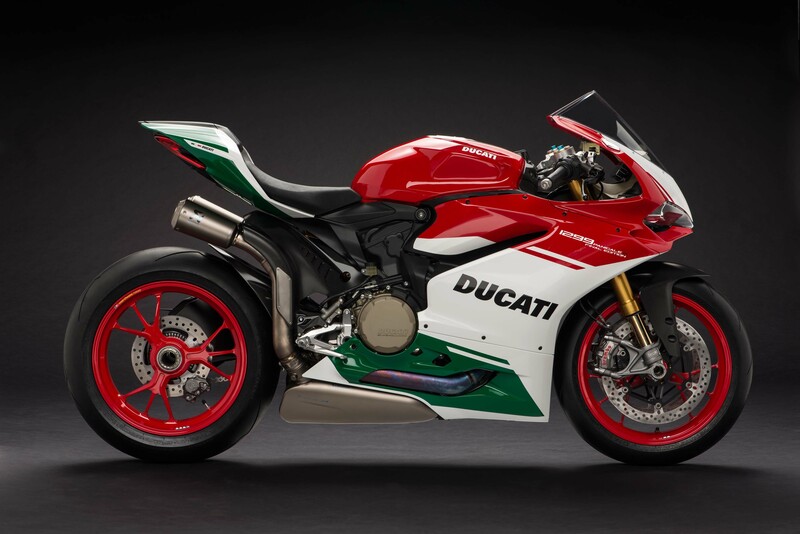 Priced at $40,000 for the US market though, this “half a Superleggera” still packs a considerable punch, and of course it holds the distinction of being the last of Ducati’s v-twin superbikes…for the foreseeable future at least. 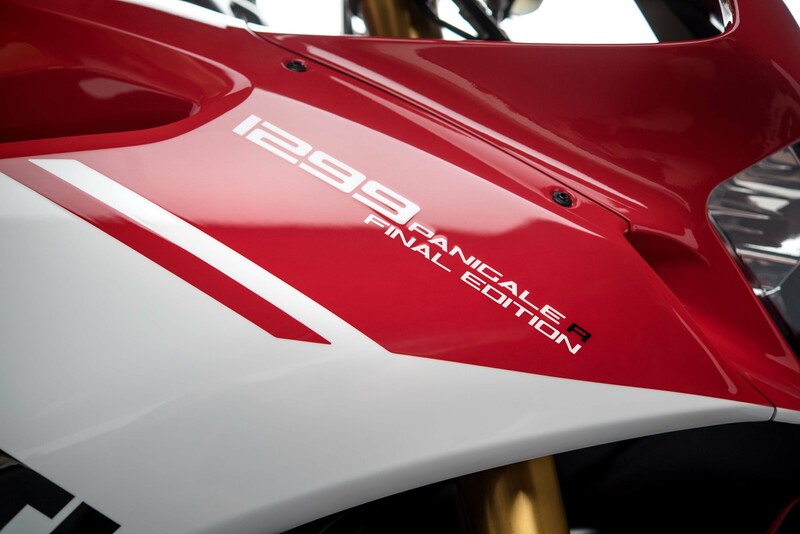 Interestingly enough, Ducati is calling the Ducati 1299 Panigale R Final Edition a numbered machine, rather than a limited edition. 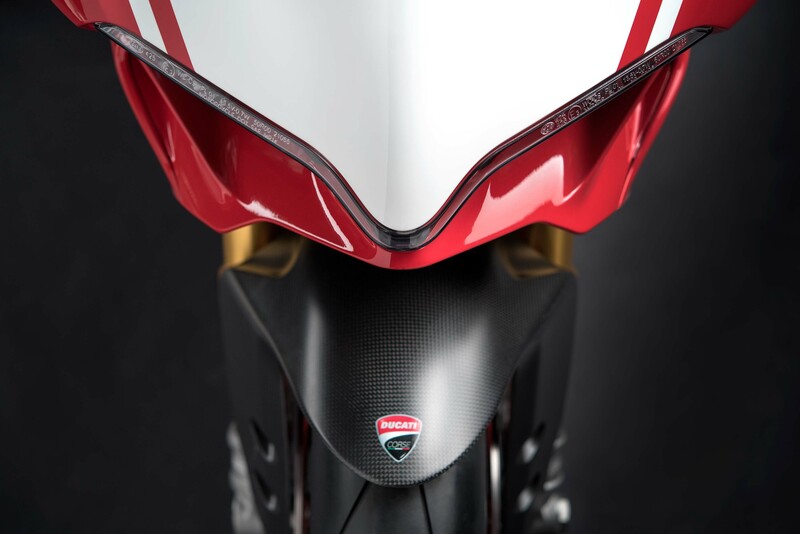 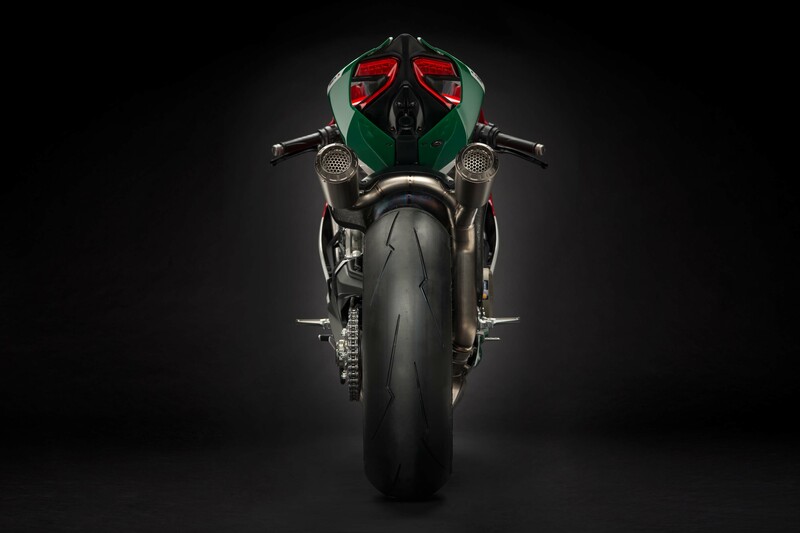 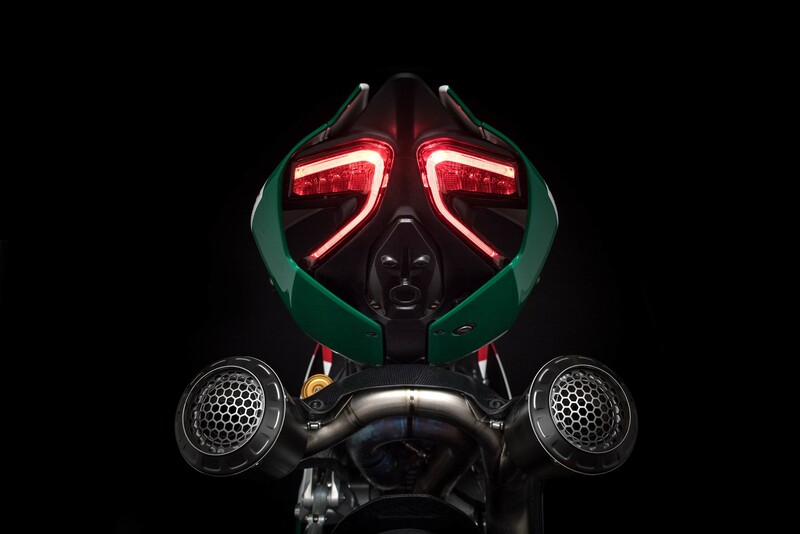 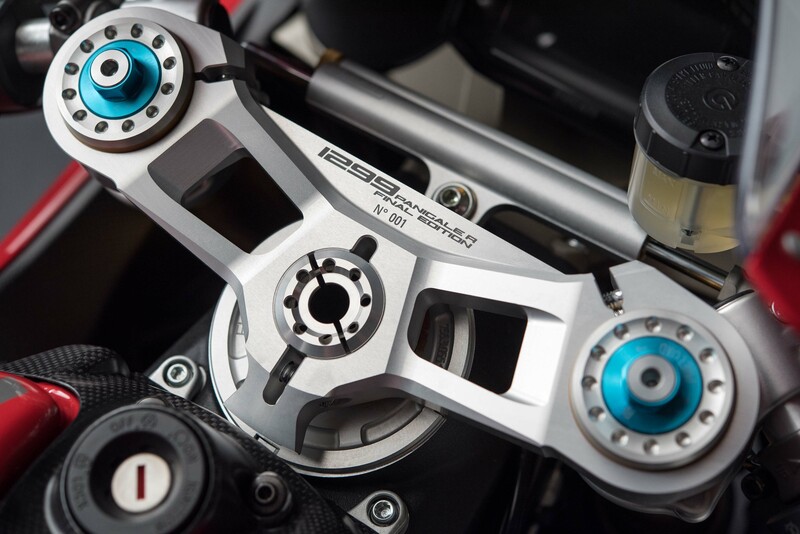 This means that each bike will be given a special production number, engraved at the triple clamp, but there is no set limit on how many bikes will be made at the factory (learning a lesson from the Desmosedici RR). 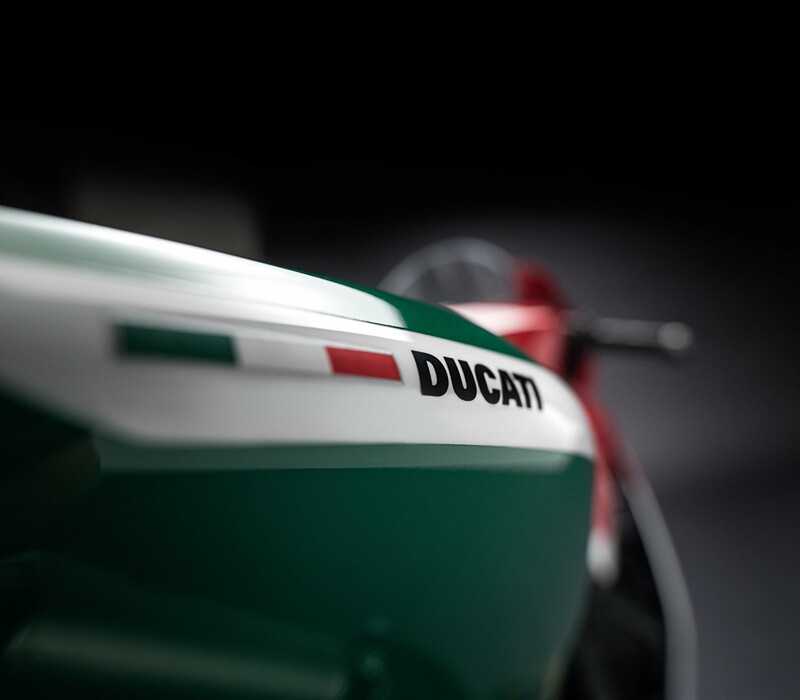 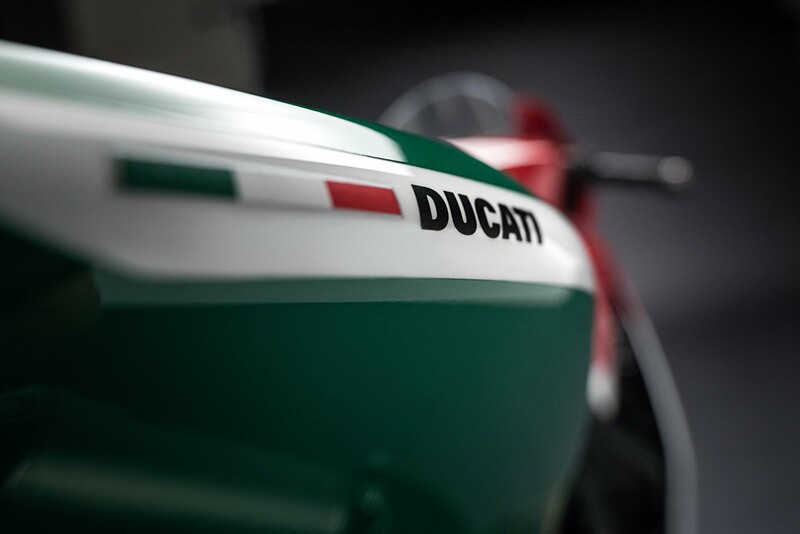 In fact, for as long as there is a reasonable demand at dealerships for the Final Edition model, Ducati will keep producing the v-twin superbike for consumers. 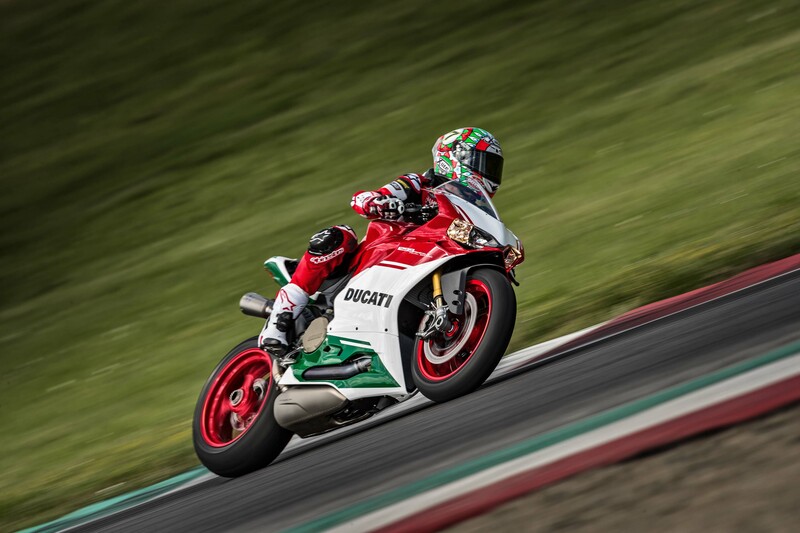 Commanding a premium over the already pricey Panigale R though, for which it shares its name (more on that in a minute), the big feature on the Ducati 1299 Panigale R Final Edition is its hot rod engine. 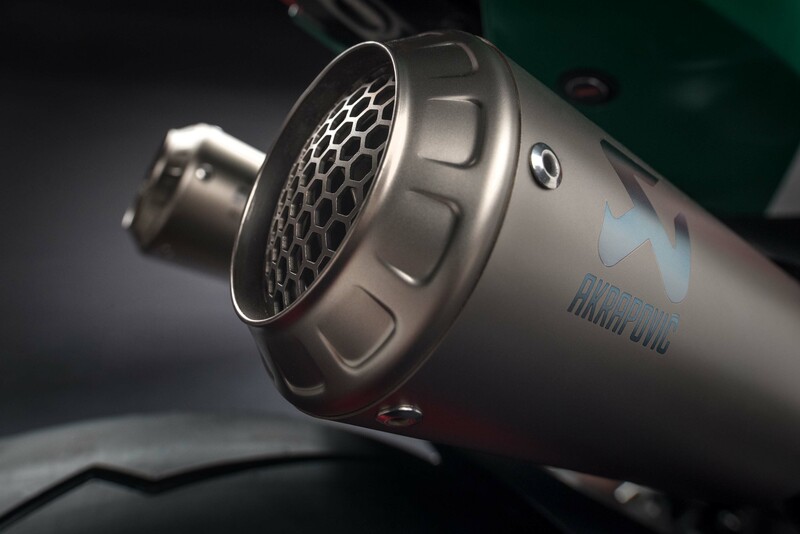 The 1,285cc v-twin motor features a lighter crankshaft with a larger crank pin and tungsten balancing pads, while the con-rods and intake/exhaust valves are made from titanium. 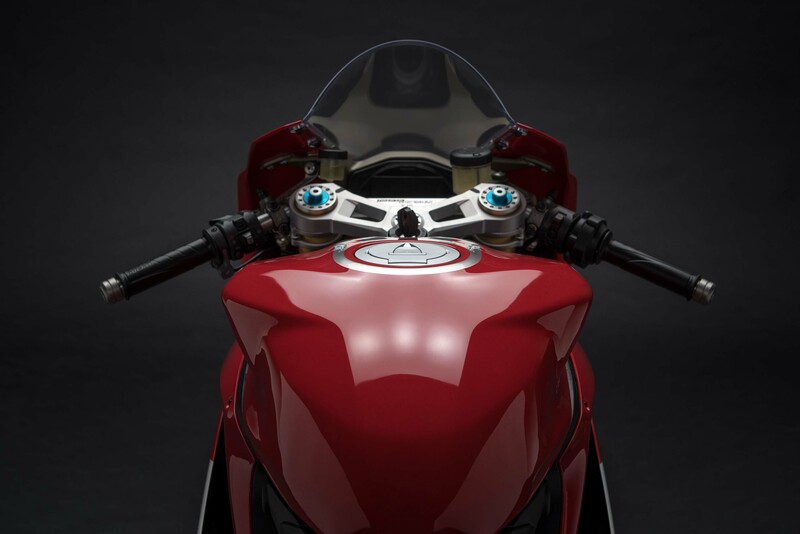 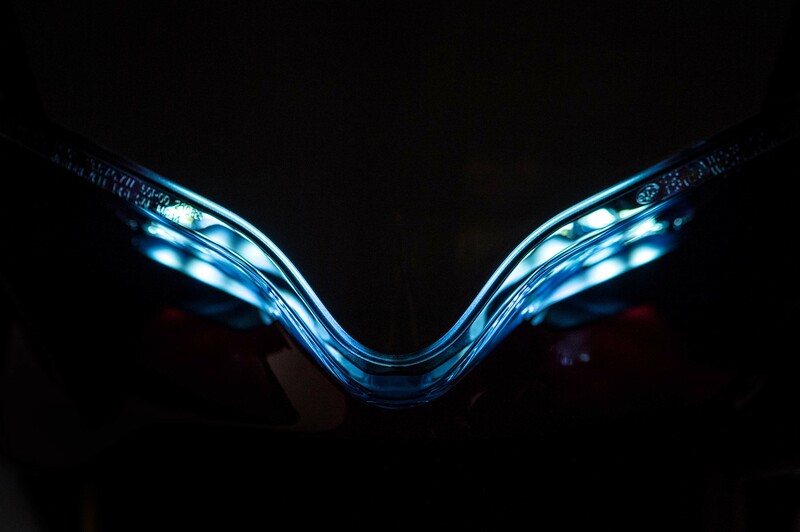 As on seen on the Panigale R superbike engine, the two 116mm pistons have just two piston rings, inside steel cylinder liners. 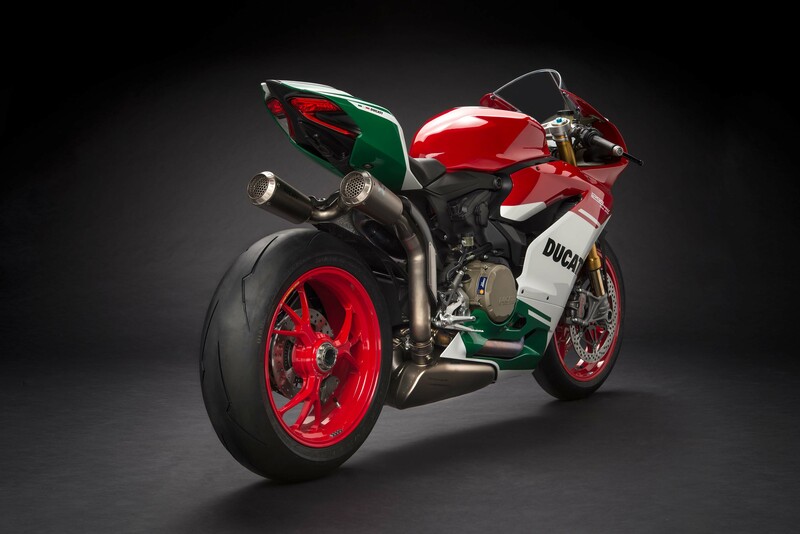 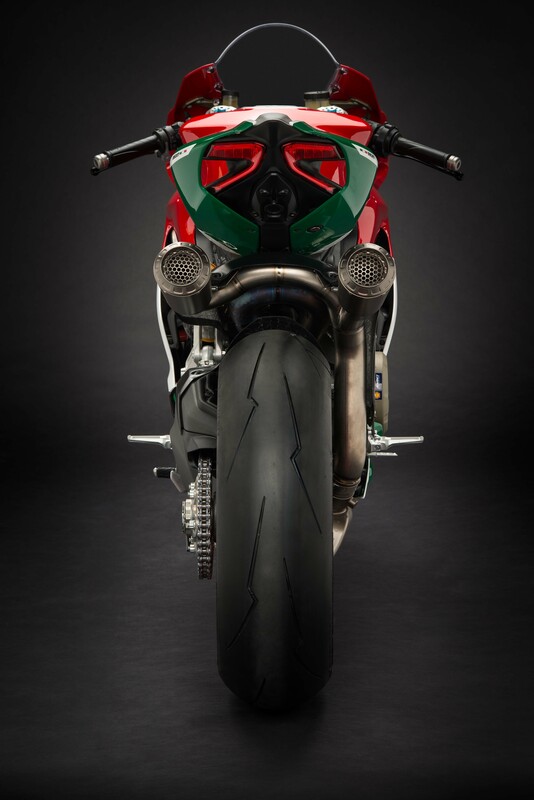 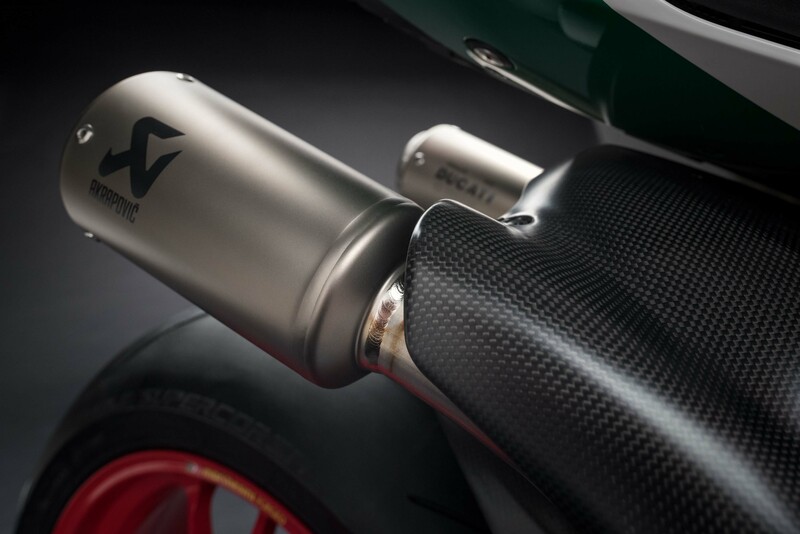 Of course, there is the superlight titanium exhaust from Akrapovic, which takes its style from the WorldSBK-exhaust that Ducati Corse uses on the Panigale R.
The most eye-catching part of the new “FE” is of course its tricolore livery, which will be a special treat for fans in attendance at the Laguna Seca World Superbike round. 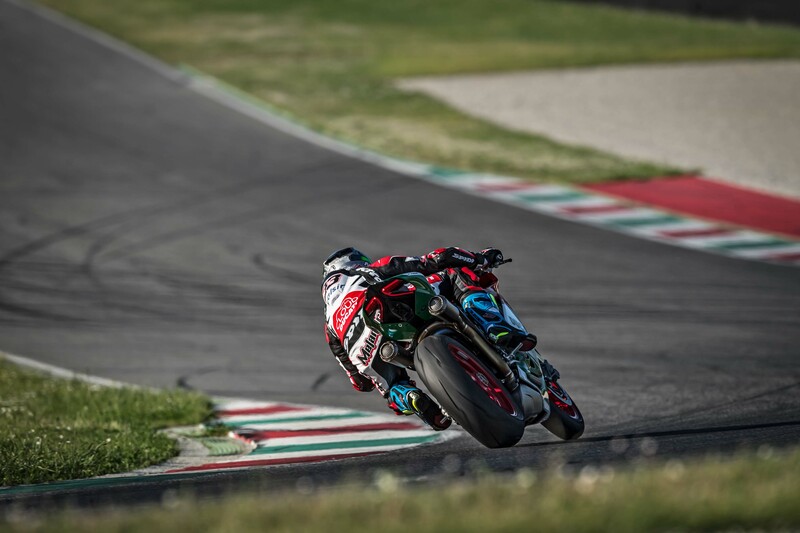 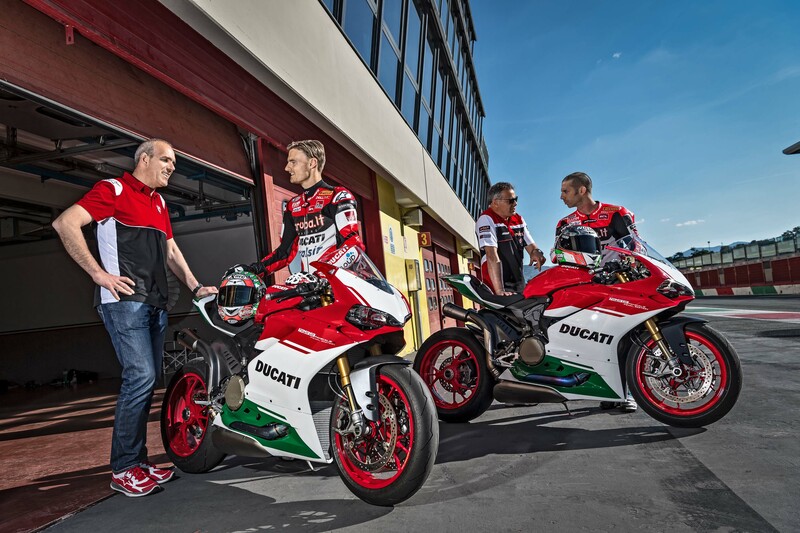 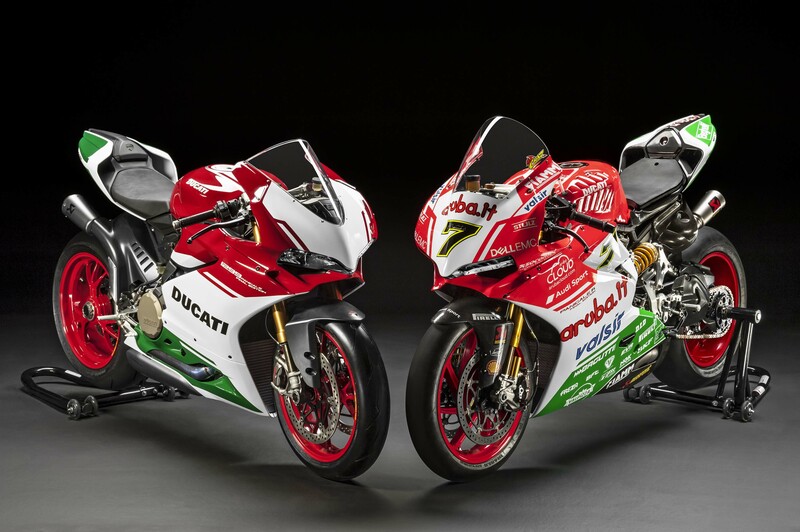 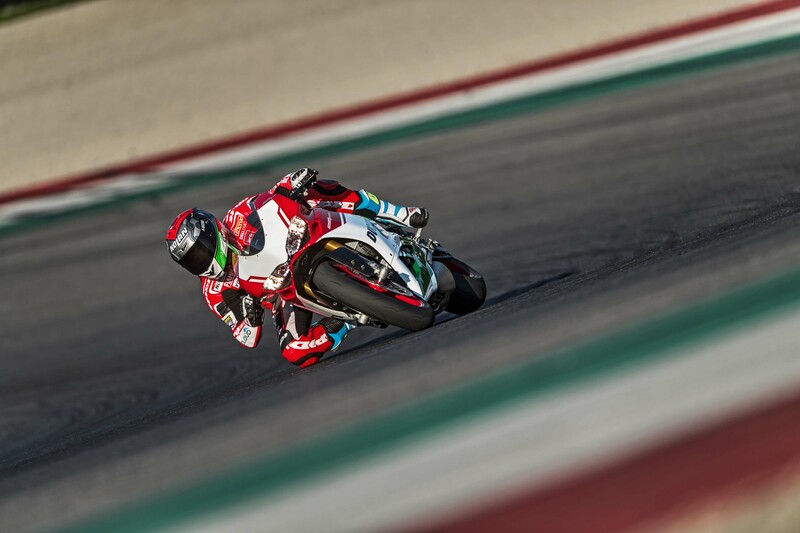 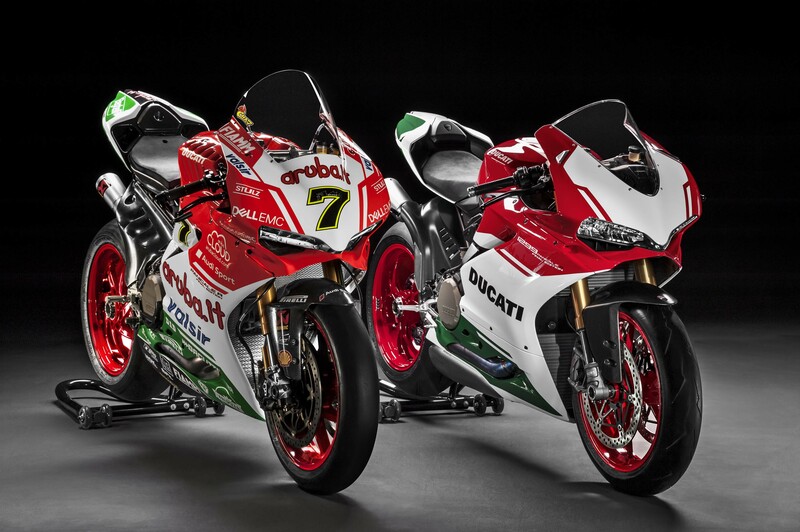 This is because both Chaz Davies and Marco Melandri will wear the same livery on their race bikes for the American round, hence the Panigale R designation for the FE model.